Handmade healthy, drive-thru fast. We’re all about using the best ingredients in the most craveable recipes, and getting it to you quick. Grab your latte and muffin, a salad for lunch and a healthy kids meal without getting out of the car at our convenient drive-thru. 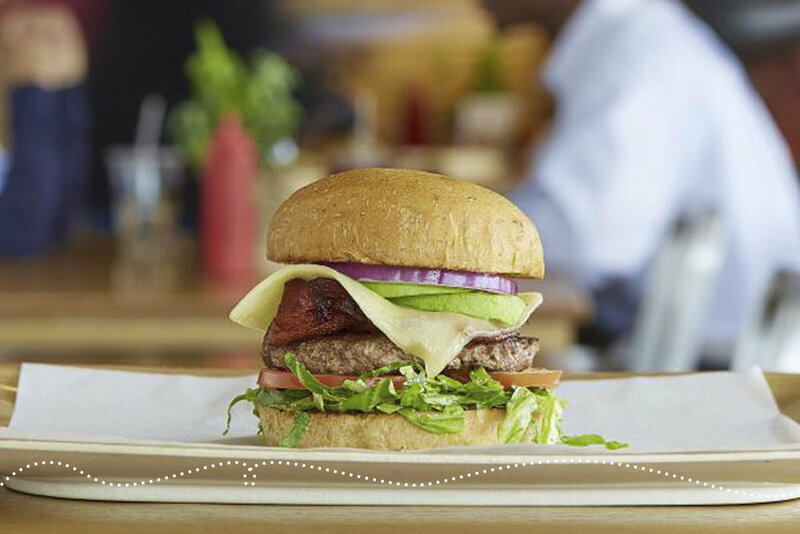 When you have a little more time, come inside for a beer with your grass-fed burger. We hope to inspire our community to take the first step toward eating better. By serving clean, from-scratch food, we hope to begin a dialogue about where our food comes from. By providing environmentally-friendly packaging, we hope to initiate awareness about where our trash goes. We believe it’s time to introduce a trend of eating real food, even when in a hurry. "Here's a plus, and we can't believe we're saying this, they actually have a good veggie burger." "Healthy food from a drive-thru window? It's a dream come true at Start." "Factor in that all the ingredients are responsibly sourced, and that healthy options like smoothies and oatmeal abound, and suddenly you have no reason to be in that McDonald's drive-through." We have thoroughly enjoyed serving you. We are sad to tell you that we are closing our doors today, March 12th. Unfortunately, the development of the area immediately surrounding Start on Lebanon Road has been halted. For now, please come visit Start in Dallas when you are in the area. We are thankful for the support and enthusiasm of our guests, and for the commitment of our hard-working staff. We will stay in touch on our social media channels with news from Dallas. Our Dallas addresses are 4814 Greenville Ave. and 4023 Lemmon Ave. and we are online at www.startrestaurant.net.